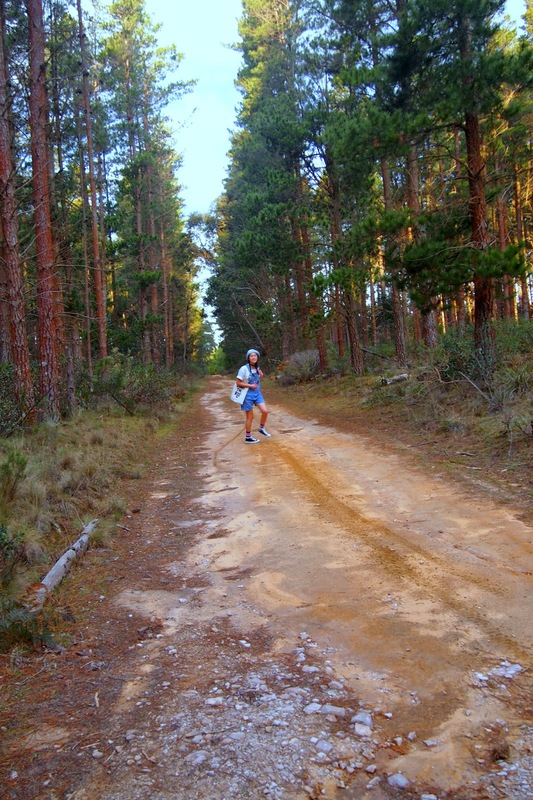 A day out in the Blue Mountains area! 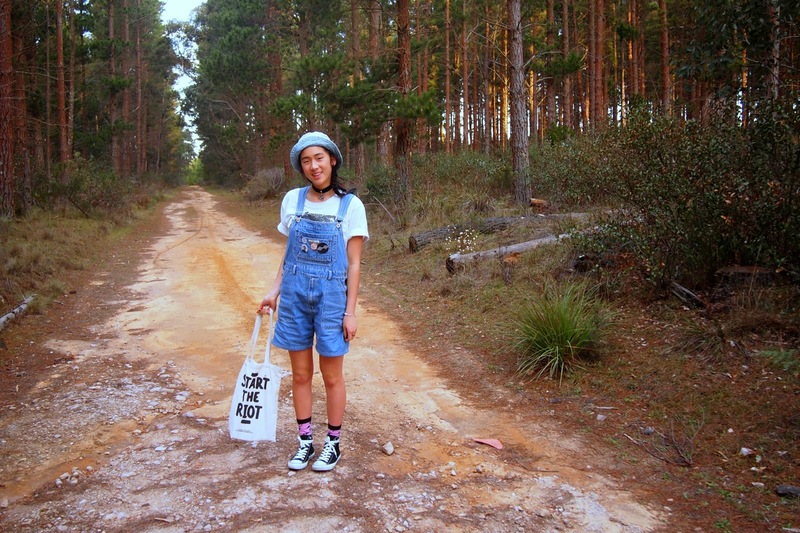 This is what I wore to walk around markets, little stores and a bit of bush/ cave walking! On the 27 September 2014; my family (Mum, Dad, Sister) and I drove to the Blue Mountains sort of area for the day! [Edit] All my posts are totally out of chronological order, but they're still outfits; aren't they?! haha :) I really hope you're enjoying these regular uploads as much as I am!! We drove 30km on gravel road to see glow worms and on our way back we stopped the car so I could take some outfit photos! 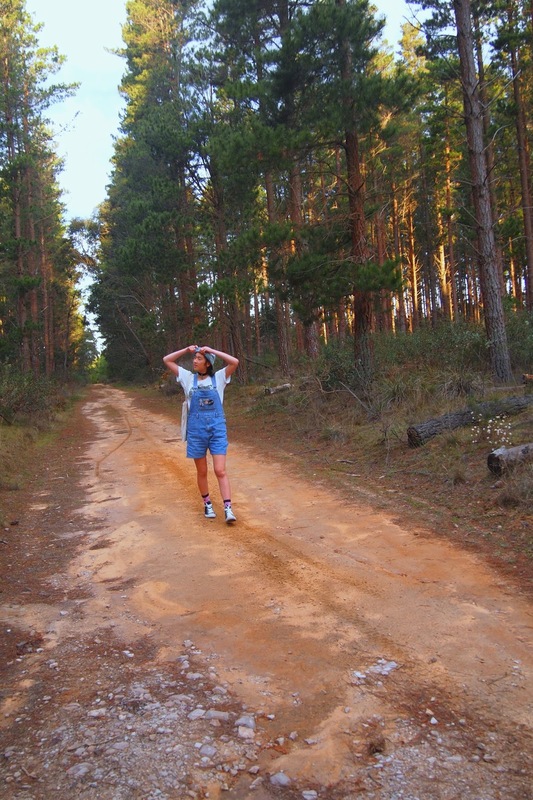 It's been so long since I've worn overalls!! I thought I would spice them up by adding a few badges (which are normally on my denim jacket). Sorry for the crazy editing!! My camera goes a bit funky sometimes and either makes the image look like I had an extreme fake tan or it goes super pale and under-exposed. 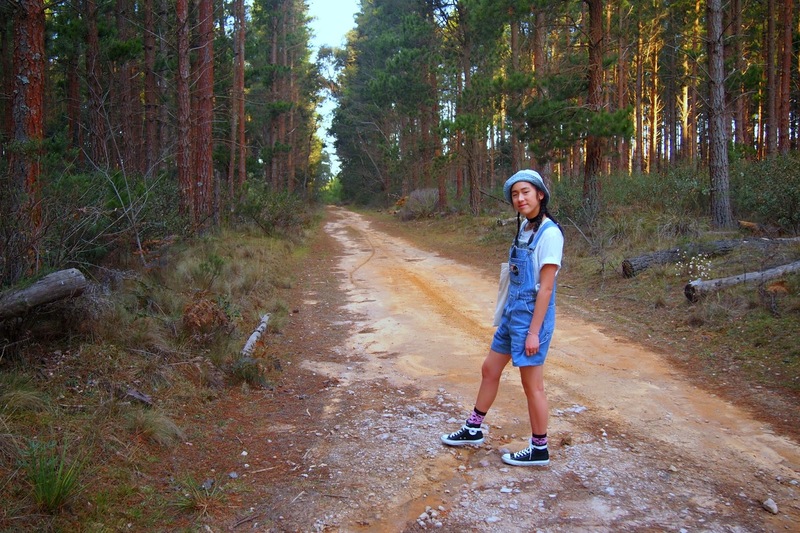 When we actually went bush/ cave walking I changed my converse into sneakers from Nike! We passed some markets while we were driving up to the Blue Mountains area (sorry I don't actually know where we were). 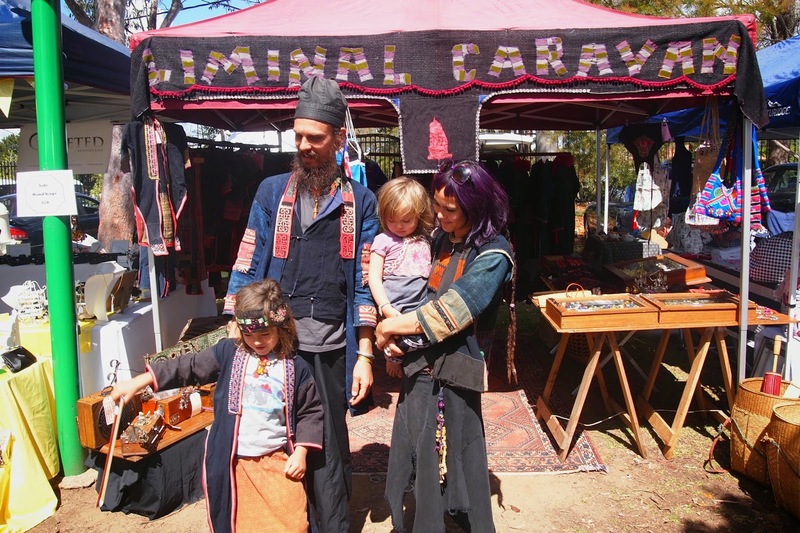 I was so intrigued by this family who owned the stall 'Liminal Caravan'. My sister and I spoke to Brandon (the father) for about 15 minutes. Keep an eye out for a post dedicated to this family! We had lunch at a lovely little cafe. I ordered this delicious pie with a side of salad! We went to see the glow worms! We walked about 100-200metres into the cave but most of the glow worms were closer to the front of the cave. It was so beautiful and it looked like the sky was splattered across the cave walls. When we were driving home from the glow worms, we passed an old factory. The sun was setting so I took this photo and I'm so happy with how it turned out! love this outfit! your style is so funky tara! Hi! I just found your blog and I really like your pictures and your style and I want to subscribe but, and this is going to sound so silly, I can't find a subscribe button or anything so where can I do that? Thanks!